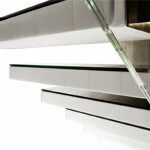 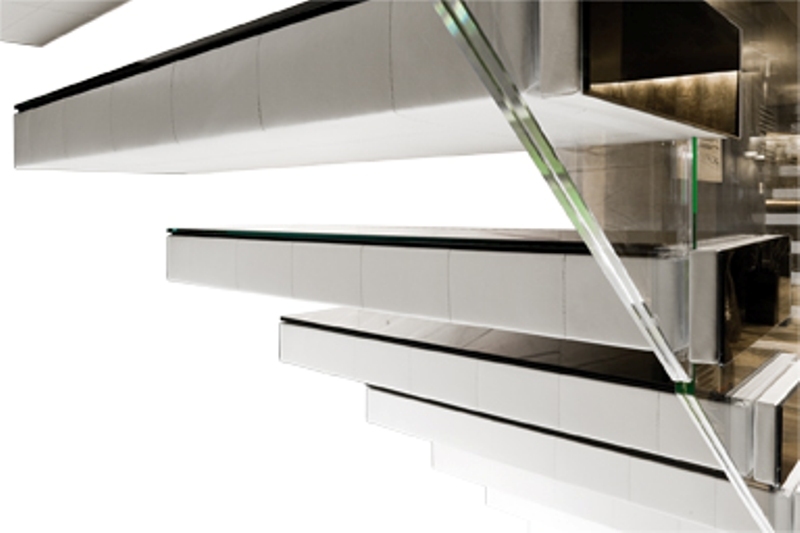 Glass and leather cantilevered open stair with self-bearing steps and no external support. 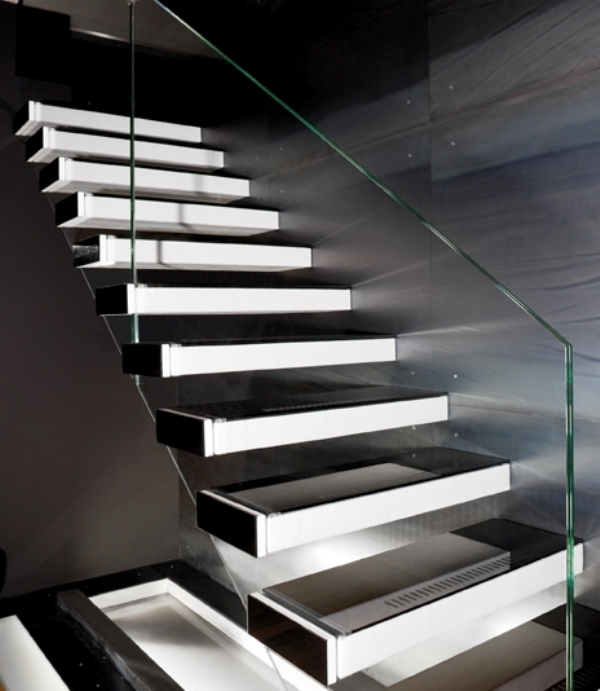 Mulit-layered steps with leather coating , CREAM WHITE finish and lacquered black glass tread applied to the side of the step itself, when living becomes outstanding. 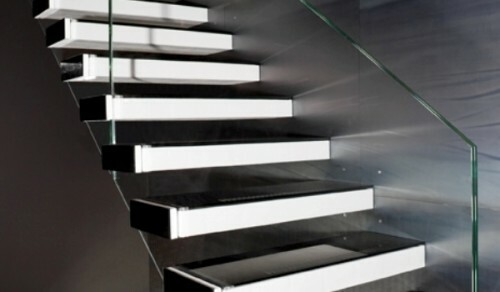 Tempered glass tread with 8-mm. 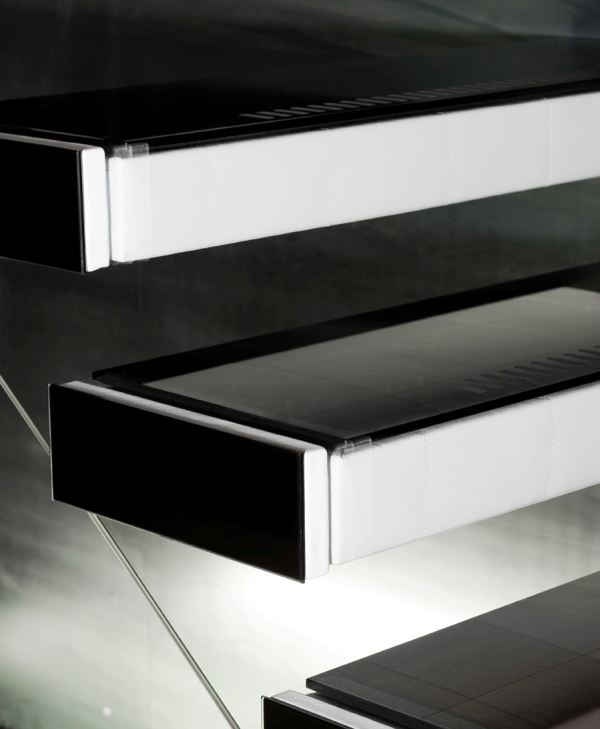 thickness, lacquered black finish and non slip serigraphy-design by Perusko-Sartori. 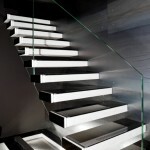 CRYSTAL PLUS banister: 10+10-mm. 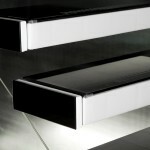 layered tempered glass, transparent extra light finish.